We’re pleased to announce that we have taken delivery of a brand new Sony FS7 Super 35mm 4k film camera. We have pensioned off our mush loved Panasonic HPX250, which we were sad to part with. We got a great deal on the bulk of our kit from H Preston Media, a kit supplier that we have not previously used, but one which we now thoroughly recommend. They have been fantastic to deal with and have helped iron out all the little bumps in the road to re-establishing a new shooting kit. Much has been written, Tweeted, Facebooked and Youtubed about this amazing camera, so we don’t need to go into much detail about it, save to say that we are now able to offer full 4k production, as well as HD for broadcast, independent and corporate projects. The Sony FS7 (and many other Super 35mm cameras) have spawned an entire industry in aftermarket products to ‘fix’ issues and to make the cameras more user friendly. Our new camera has been carefully spec’d out to create a proper working rig and our mods include a Metabones Ultra Speedbooster to allow us to take a full range of Canon EF glass, a Camtree baseplate to allow comfortable shoulder mount operation, a mattebox and a quick release VCT tripod plate. However, we think we have solved one problem on the camera. 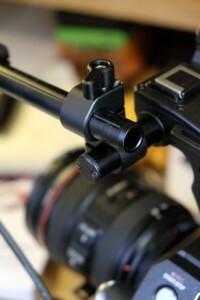 The supplied viewfinder has been regularly said to droop to the left, making the horizon slope and affecting the shooters ability to level the shot.When we set our camera up, we noticed that there was a groove in the bar that connects the finder to the horizontal rod on the camera handle. The groove locates to a small pin on the clamp and locks the finder level. So what is the issue? When we inspected a colleague’s camera we noticed that he suffered FS7 Finder Droop. The reason, the viewfinder clamp had been fitted the wrong way round in the factory when the camera shipped. Simply changing the clamp the other way round fixed the issue, with no need for an expensive after-market fix form the likes of Vocas, Shape or Zacuto. This is a very simple fix to an annoying problem and we urge you to try it out. The after market products do have other benefits, but for the moment, we are not convinced we need to spend the extra money on that piece of kit. 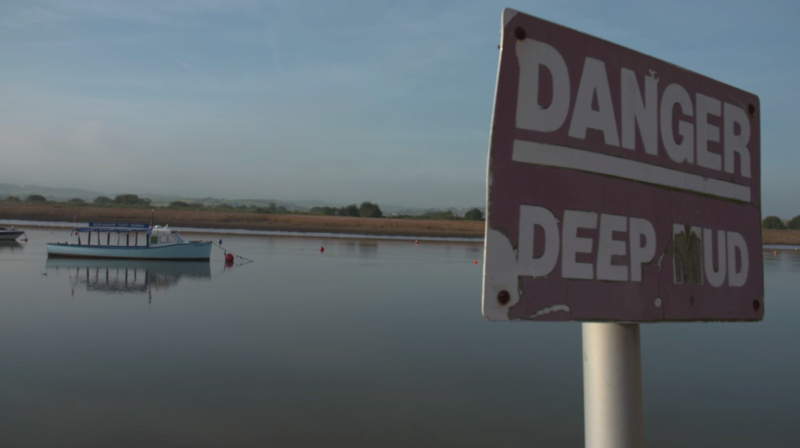 We have shot a few short tests with the camera and here is a link to a test shot in Topsham, Devon. We were testing for issues like skew/rolling shutter, testing the focus peaking, lens breathing and other issues in a ‘get to know you’ session by the water. The footage is ungraded. Some Kind Of Fish – Sony FS7 test from Andy Johnstone – Wild Dog Ltd on Vimeo.